You find someone online who identifies as the same curl pattern as you--so why won’t your hair do the same thing theirs does? Why does your hair seem to have no definite curl pattern? 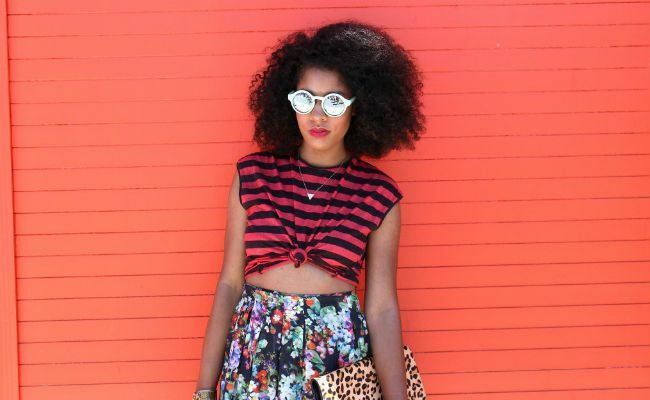 Maybe your hair does have a curl pattern, or three patterns that are just all over your head. You may even have hair that’s straight at the roots and only curls somewhere from the middle on downward. Is there anything you can do about this? Before addressing what you can do to get more defined curls, it will help to explore some of the things that may be causing this lack of curl definition. Transitioning: If you are transitioning after years of relaxers and have not done a big chop yet, most of your hair is still post-relaxer hair. The ends may be chemically straightened while your natural texture may show up at the roots. This usually leads to hair with two or three curl patterns. Hair Length: Long hair weighs more than short hair. Therefore, it makes sense that the sheer length of your hair is what’s pulling it and causing it to be straighter near the roots. This is even more likely if you have thick and fine hair. Nature: If you have never received a relaxer, or chopped off all of the damaged hair and your hair is on the short side, yet you still have hair with different curl patterns throughout, that could just be the way your hair grows naturally. Many people have multiple curl patterns and porosities throughout their head naturally. Once you have figured out the reason your hair seems to have multiple curl patterns, you can decide what you want to do about it. You may just need to adapt to styling the different textures of your naturally diverse curls, but if not one of these methods might work for you. Braiding or Twisting: You may not be able to get maximum definition and "clumping" without braiding, twisting or doing bantu knots. Add your favorite leave-in or twisting product and divide hair into smaller sections all over your head, two-strand twisting, braiding or twisting into a bantu knot for each section. Leave it in overnight or until it is completely dry, then take it out and carefully separate each section for great curl definition! Clipping: Clipping is simple and you may even be able to do it as part of a wash-and-go technique if your hair is not super porous. Clipping will help lift your hair at the roots and can create an artificial “curl,” which will give your hair more volume. Plopping: You may tie a t-shirt around your head like a turban; this is fine to do while finishing your morning routine. Scrunching: When you scrunch, you gather a chunk of your hair in your hands and hold it and then you release it. With scrunching, you literally squeeze those handfuls of hair several times before releasing it. Curls are about as unique as the individuals sporting them! Even though we can categorize most curl patterns, nobody’s hair is a textbook hair type. Pictured: Vic Styles. This article was originally published in October 2012 has been edited for clarity.